Last year the Spanish Parliament finally approved the law regulating the procedure for granting the Spanish citizenship for Sephardic Jews who are descendants of those unjustly expelled from Spain in 1492. The law allows the applicant to keep their current citizenship without the requirement of residency in Spain and is in force since October 1st, 2015. For obtaining Spanish citizenship for Sephardic Jews the applicant must prove the fulfillment of two main requisites: the proof of their Sephardic status and proof of their special connection to Spain. Any other circumstance that clearly demonstrates the status of the applicant as Sephardic Jew of Spanish origin. If the applicant presents the Certificate by the President of the Jewish Community of the place of residence or birth and/or the Certificate from the rabbinical authority, which is legally recognized in the country of residence, the applicant should include a certificate of the President of the Permanent Commission of the Federation of Jewish Communities of Spain that endorses the authority status of the Rabbi or the Jewish Community Leader. Alternatively, for proving the suitability of such documents the applicant must provide following documents: copy of the original charter of the foreign religious organization, certificate of the foreign entity that contains the names of those who have been designated as legal representatives, certificate or document that proves that the foreign entity is legally recognized in its country of origin and a certificate issues by the legal representative of the entity that proves that the Rabbi holds active and practicing status based on the requirements of their charter. Any other circumstance that clearly demonstrates the special connection to Spain. All documents, which are not in Spanish have to be legalized at the Spanish Consulate of your place or residence or apostilled. If the documents are in a language which is not Spanish, they must be mandatory translated by a sworn translator. The provided documents will be assessed as a whole, so it means that it is not mandatory to provide all of them is such is impossible. Apart from this, the applicant for Spanish citizenship for Sephardic Jews will have to present a birth certificate and pass two tests, one test on basic knowledge of Spanish language (DELE level A2, or higher) which has a cost of EUR 120 and second test on the knowledge of the Spanish Constitution and the social and cultural reality of Spain (CCSE exam) which has a cost of EUR 85. Those two tests are created and managed by the Cervantes Institute (Instituto Cervantes). Applicants from countries or territories where Spanish is the official language, those under 18 or those with a legal capacity modified by court are exempt from the Spanish language exam. The process of Spanish citizenship for Sephardic Jews starts by presenting a Spanish on-line application at the General Notary Council of Spain (Consejo General del Notariado). The applicant must fill out all the information and upload scanned copies of all the aforementioned documents. The application fee is EUR 100, which is a non-refundable fee in case your application is denied. The General Notary Council will assign a notary in Spain or otherwise you can also suggest your preferences. The applicant of Spanish citizenship for Sephardic Jews must only travel to Spain after the notary has reviewed the documents and consideres that the applicant fulfills the requirements and there is reasonable expectation that granting of citizenship is feasible. The notary will make an appointment with the applicant who shall bring all the original documents for the performance of the notary act. The notarial act (Acta de Notoriedad) will include all original documents as well as a criminal record check of the applicant for each country in which the applicant currently resides or has resided during the last 5 years immediately before application. Once the notarial act is completed the General Directorate of Registries and Notary Services of Spain (Dirección General de los Registros y del Notariado), will request official reports to the corresponding agencies. Once the reports have been received, the General Directorate of Registries and Notary Services will resolve the application judging its validity. In case of getting a positive resolution and within one year´s time starting the day following the notification of such resolution, the applicant will have to swear and promise fidelity to the King and obedience to the Spanish Constitution and laws before the Civil Registry of the place of residence (Spanish Embassy or Consulate). Non-compliance with such a procedure within the period will result in termination of the procedure. If the General Directorate of Registries and Notary Services has not resolved within 12 months after application was made it shall be considered to be rejected. If your application has been rejected you can present an administrative appeal at the Sub-secretary of Justice within 1 month of express denial or 3 months if no resolution was made at all. The negative resolution of the appeal allows you to proceed to the judicial appeal at the Superior Court of Administrative Issues of Madrid (Sala Contencioso-Administrativa del Tribunal Superior de Justicia de Madrid). All applicants shall formalize their application of Spanish citizenship for Sephardic Jews before October 1st, 2018. This deadline could be extended for an additional year if approved by the Spanish government. Regarding the applicant, Jews who are not of Sephardic origin are not able to apply. Non-jews who are of Sephardic origin are allowed to apply to this procedure. 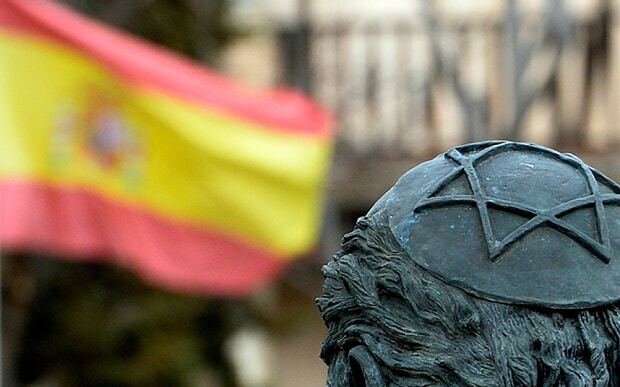 Even Sephardic Jews have prove their special relationship to Spain, otherwise the application will be rejected. The application of Spanish citizenship for Sephardic Jews will also be rejected to those Sephardic Jews who are unable to prove their status. Our law firm can assist and guide you through the process of obtaining Spanish citizenship for Sephardic Jews. The formalities and the documents which need to be presented are complex. We collaborate with law firms from Israel with whom we coordinate the process to provide an efficient hassle free service.